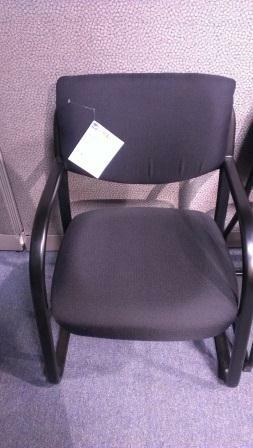 Upholstered side chair with tubular metal frame. More fabric options available by special order. 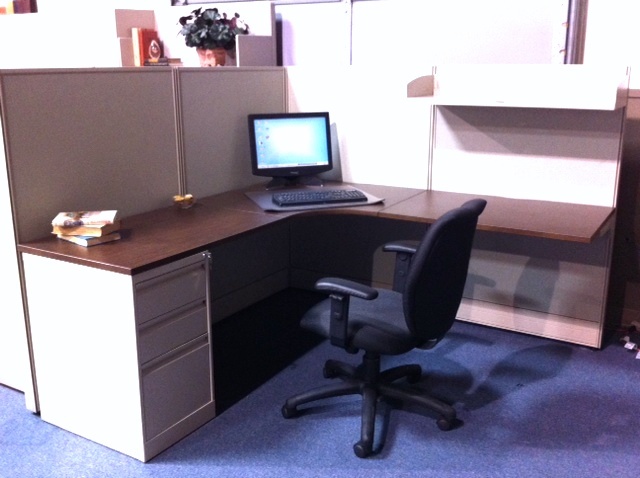 Showroom sample models of Global Compile workstations on sale now! 6×6 station with (1) storage pedestal and (1) shelf. Contact us for configurations and pricing! 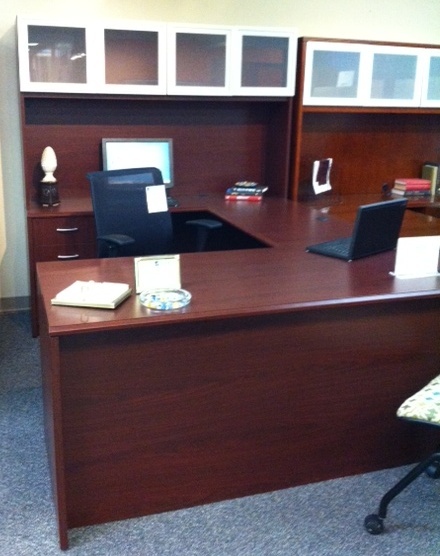 Indiana Derive series showroom sample U-group with glass door hutch. Mahogany laminate finish. 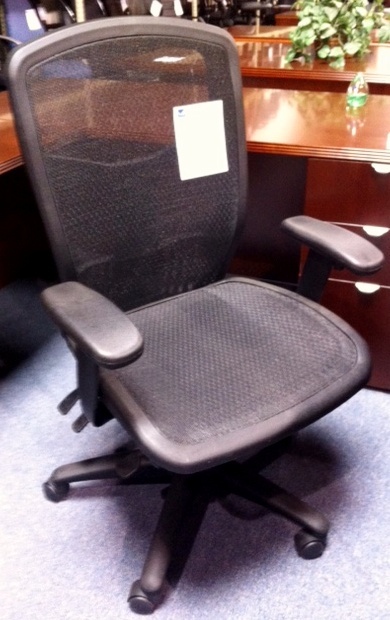 C Series Ergonomic mesh chair with 4-paddle mechanism. Mesh back and seat. 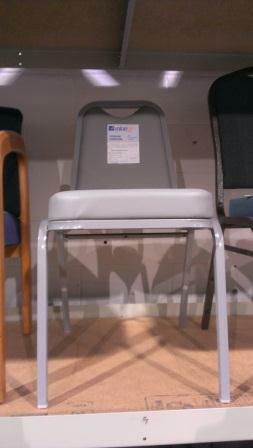 Upholstered banquet chair with metal frame. More options available by special order.